If I asked you what day of the week most charity auction chairmen select to conduct their benefit auctions you would probably answer Saturday. And you’d be right. If I asked you what day of the week is the best day to conduct a charity auction you would probably answer Saturday again. But, this time you would not necessarily be correct. The truth of the matter is any day can be successful with Mondays, Thursdays, Fridays and Sundays leading the way. Don’t get me wrong. Saturday night events can be very successful. However, the biggest competition you face on a Saturday is not from other charitable events taking place the same night – but rather the “Lazy Boy” chair. That’s because more patrons of charity events turn into “couch potatoes” on a Saturday – more than any other night of the week. You can’t really blame them. They worked all week and finally have a day off. But, they have to run their errands. They need to accomplish a number of household tasks – both inside and out. And then there is their ‘me” time. By late afternoon, while relaxing in their favorite hang-around-the-house attire, they must re-motivate to shower, get dressed and then travel to the venue. Or they can simply plop on their well worn-in chair and enjoy the rest of the day. Plopping often wins out. As a professional benefit auctioneer it is one of my responsibilities to turn “sitters” into “bidders.” You can’t raise the money you need if the wallets and checkbooks never make it off the top of a dresser drawer. Lazy Boy-it is can be cured. Through years of experience I’ve learned how to get guests out of their favorite chairs at home and have them sitting in the chairs at events. 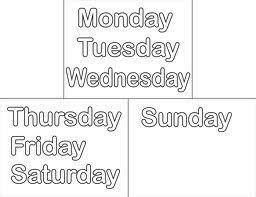 In future blogs we’ll talk about the other days of the week and why they too can be keys to your success. And remember, I’m always here for you. If you have questions give me a call or send an email. I’ll respond to either very quickly from my favorite chair.